One of the first gravel rides mapped and publicized now considered a classic, whether ridden in a day or over a weekend s bikepack. 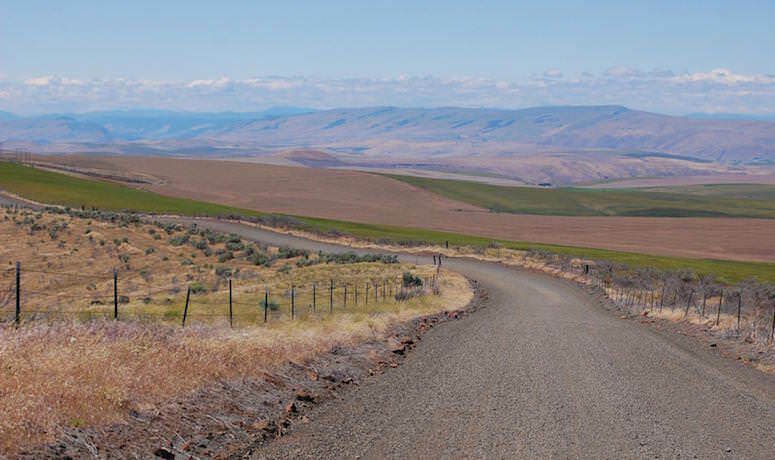 One of the things that make Oregon a special place to explore on two wheels is the sheer bounty of geographical and scenic diversity. 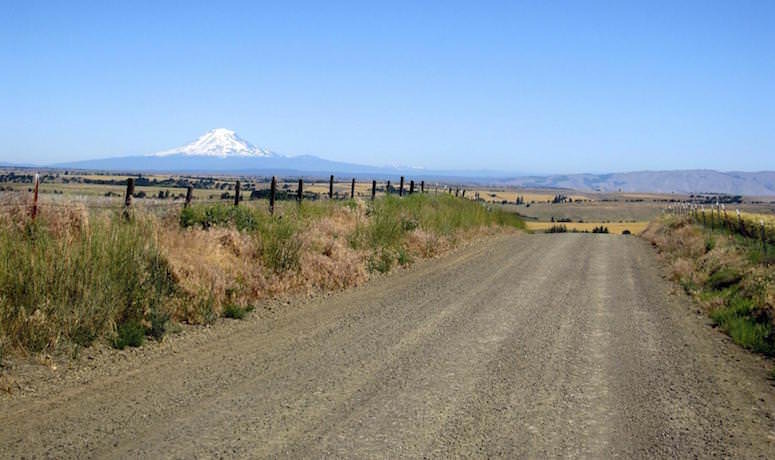 This route offers a unique opportunity that you might find only in our state: You can ride from a low, broad river, along the flanks of a volcanic peak, and through stark high desert, all in 124 miles. Start at the confluence of the Deschutes and Columbia rivers in the Deschutes River State Recreation Area. Here you’re in touch with two of the West’s most famed waterways. The mighty Columbia makes its serpentine run from Alberta through British Columbia and Washington before defining Oregon’s northern border all the way to the Pacific. The Deschutes is one of the quintessential Oregon rafting rivers, carving out canyons and waterfalls before joining the Columbia – right where you’re starting. The first thing you’ll do on this ride is rise high above the river; once you’ve gained the ridge, you’ll start to enjoy a series of splendid mountain views of Cascade mountains – from Mount Rainier up north in Washington all the way to the Three Sisters toward the south. Your ride will meander along highlands that loom above the deeply carved Deschutes below. If it’s quiet enough, you might even hear the distant, delighted screams of rafters dropping into a Class III. The town of Dufur gives you a tantalizing glimpse of the past, with its historic Balch Hotel, built for a railroad that ran to Friend, a once-bustling town that barely exists today – you’ll pass through it on this ride. (Hint: If you want a good spot to overnight that doesn’t involve a tent, the Balch is an excellent choice.) When you hit this stretch you’ve shifted from river canyons to the fringes of the Mt. Hood National Forest, low down on the gradual slopes up toward Oregon’s highest point. While you enjoy the payback of a big drop down into Tygh Valley, be aware: While most of the route is hard-packed dirt and gravel, about four miles through the White River Wildlife Area is so rocky, rough and steep that most riders will wisely choose to walk it. But this section of the route also rewards you with the tumbling roar of White River Falls. You’ll also see the roiling Sherar’s Falls on the Deschutes River and – if your timing is right – you’ll be able to watch local tribal members fishing from traditional platforms over the river. As you return to the start, you’re riding high above the Deschutes on the other side. 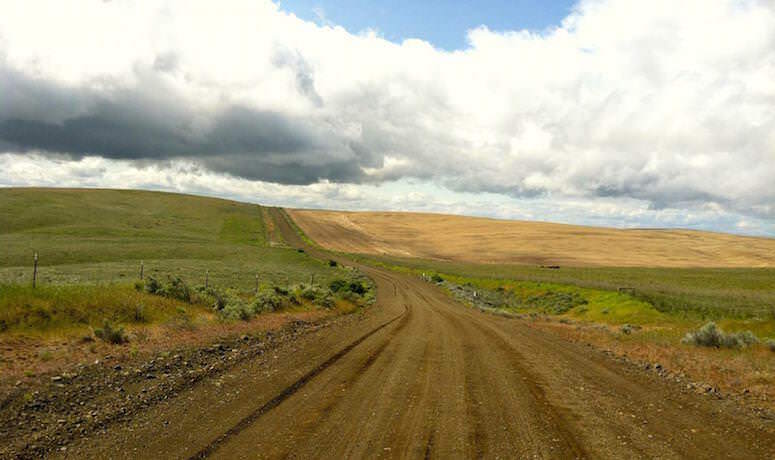 For most of the remainder of this route you’ll be riding under wide-open skies on wide-open land, complete with tumbling tumbleweeds. You might spot grouse, jackrabbits, quail, snakes – and maybe a curious coyote. When you cruise down to the intersection of rivers, ponder the broad range of vegetation, wildlife and scenic panoramas you’ve enjoyed. You may find yourself quite thankful. Oregon says: You’re welcome. Note: A cross bike or touring bike with 32-37c tires works well for this route. 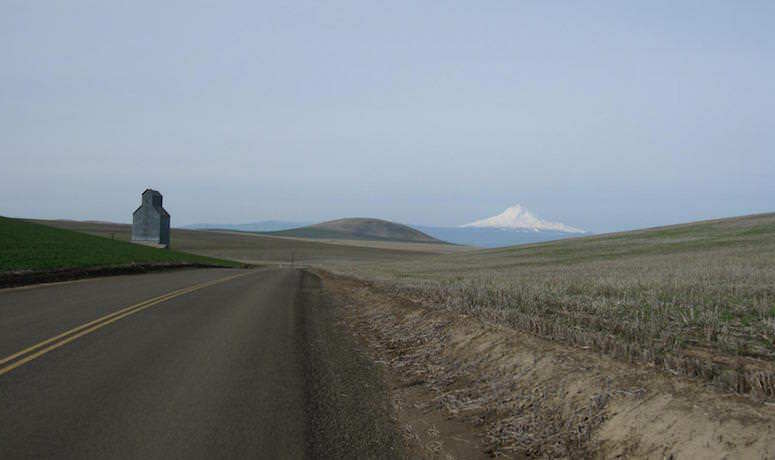 As cyclists, we’re spoiled living in Oregon. 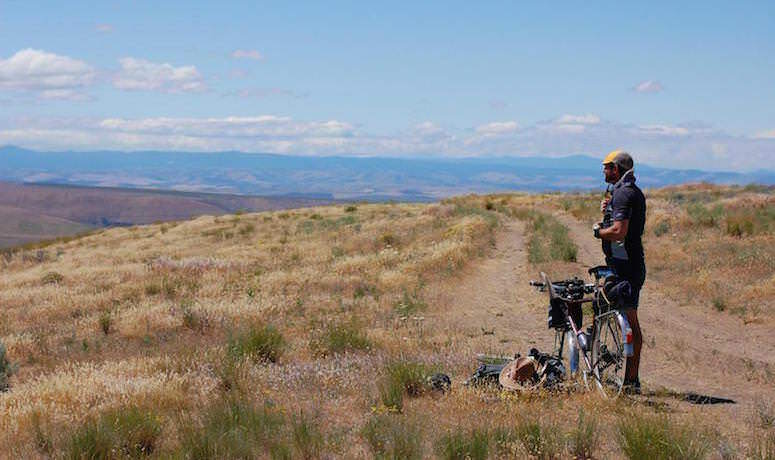 Between the Coast and Cascade Ranges, the high desert of central Oregon, and the remote expanses of eastern Oregon, we have all the makings for top-notch gravel riding and bikepacking. 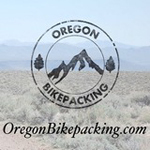 You can find just about anything to suit your fancy here – whether you’re into glacier views of Mount Hood or exploring remote jeep roads and sleeping in the sagebrush.On behalf of Oregon Bikepacking and VeloDirt, we present a select number of our routes that we find particularly special. We hope you enjoy our routes, and we look forward to running into you out there under open skies along our favorite routes.